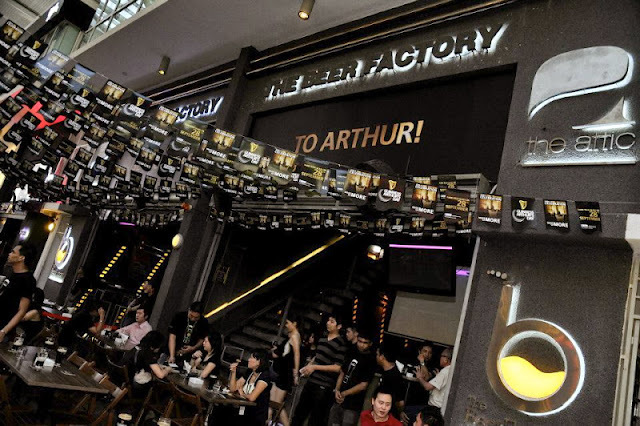 Stephanie Lim: Arthur's Day 2012 at Beerfactory, Sunway Giza. Arthur's Day 2012 at Beerfactory, Sunway Giza. 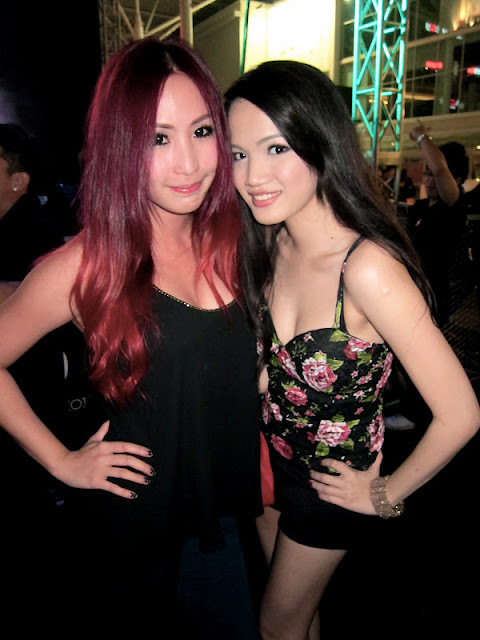 So a few weeks back I attended Arthurs Day held at The Beer Factory, Sunway Giza. It was a last minute plan but lucky me, as it was a fun fun fun night! I was shown to the VIP section *yay, me* and I was a happy kid inside as I get to sit down, drink a few pints of Guinness and catch up with friends. Beer Factory is definitely the best place to enjoy a drink or two (or more, haha) and also be seated comfortably chatting away with friends. With the buddies and partner in crime for the night! From the top left : SueLyn, Joanne, Jackie. Bottom : Chunlam, myself and Erin. Me enjoying my fresh pint of Guinness! Showing our love for Beer Factory! 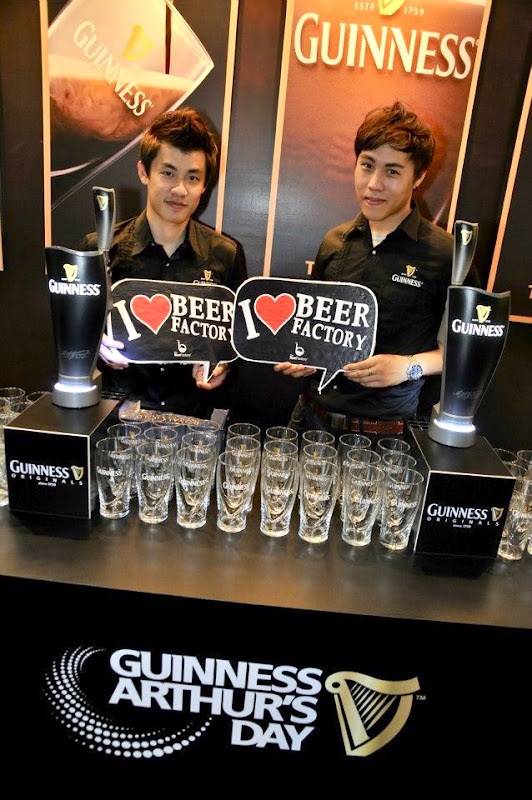 everyone gets to pour their own perfect pint of Guinness with the help of their friendly staffs/bartenders. Shocked to see my highschool bud Sheng Eu (left) being hard at work! We left the VIP section to join the crowd, as Justin Lo, a singer from abroad was here to entertain us for the night. 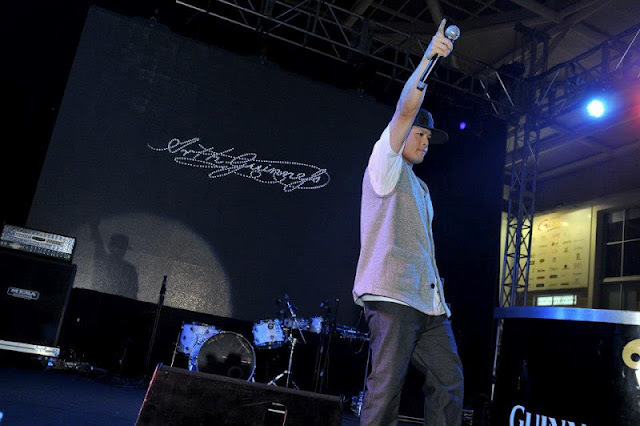 Singing few of his hits songs the crowd went crazy! We had a countdown and it was "To Arthurrrrrrr", then the party really got started! 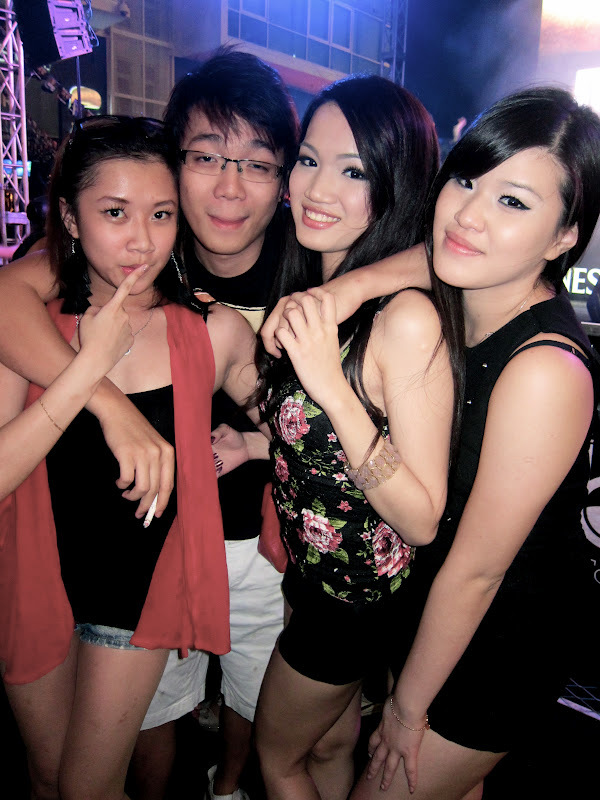 Amanda, Chunlam, myself and Erin. So many familiar faces that night ; you know you'll be having an awesome time, with great company around! Then the club tunes started, kicked off by the one and only DJ Jumping Jack ! 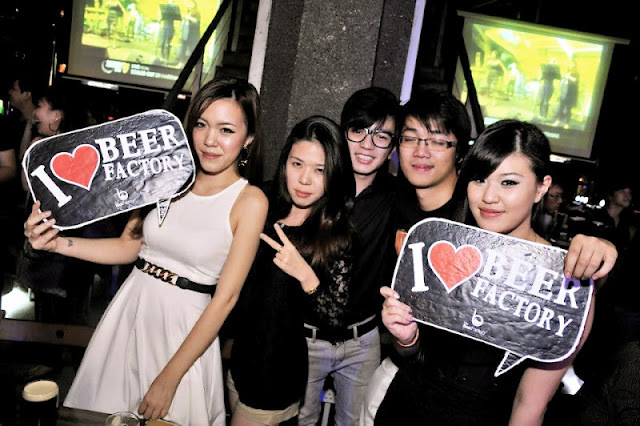 Non-stop flows of beer and good club hits playing, we were dancing, jumping, just basically having so much fun! 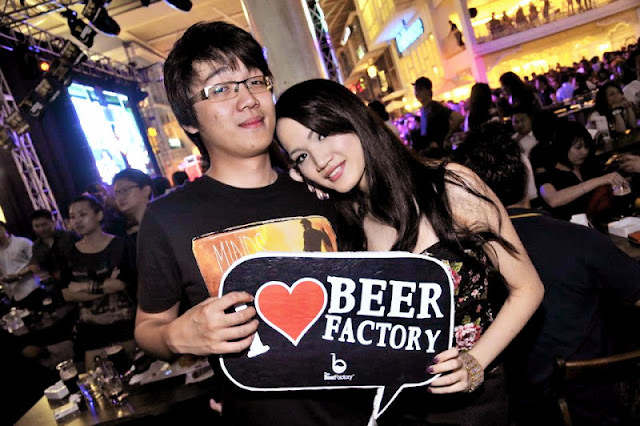 Kudos to the Beer Factory team for holding such a great event, I would say it was a major success on their behalf by running everything so smoothly! 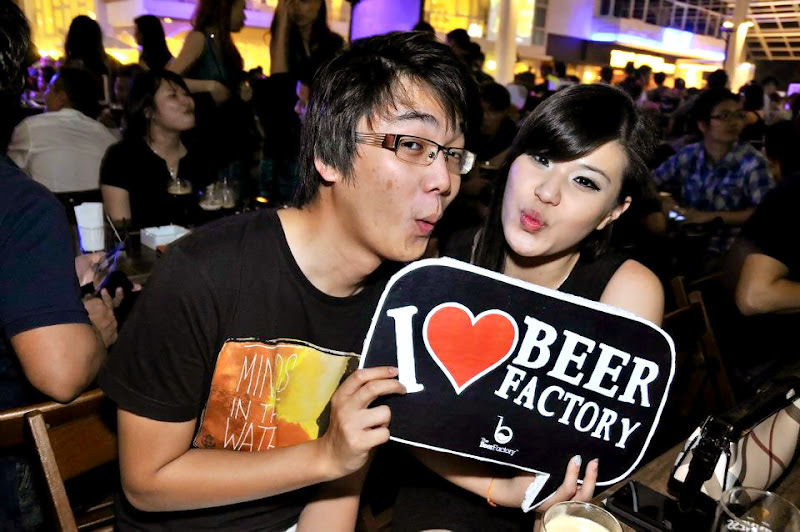 So if you're ever in need of a good pint of beer or even hard liquor do come by to Beer Factory! Their happy hour rates are dirt cheap heh.